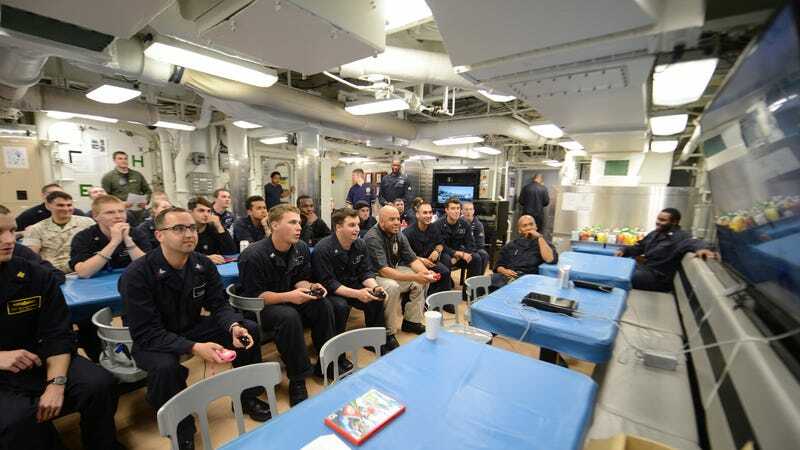 America’s Navy is developing highly specialized gaming technology to help identify and train the next generation of unmanned systems operators. Remotely operated, unmanned aerial vehicles – UAV in military lingo, but more popularly called drones – have been a military staple for more than a decade. But the increase in applications of the technology has required the Navy to develop innovative ways to train and develop future drone pilots. The Naval Aerospace Medical Institute, with Florida-based software company Adaptive Immersion Technologies, is developing a simulation to identify individuals with the right skills to be drone pilots. The project is called StealthAdapt and is sponsored by the Office of Naval Research. Until now, the Navy has pulled its drone pilots from its existing pool of skilled aviators. But training existing pilots to use drones is costly and time-consuming, and it takes aviators away from their primary jobs: flying state-of-the-art, manned aircraft. Plus, the skills needed to be a good manned aircraft pilot doesn’t always translate to being a good drone pilot. StealthAdapt is designed to address this. The program is a timed search-and-rescue mission in which the player must rescue as many stranded friendly forces as possible while avoiding enemy fire. If that sounds easy, think again: players must simultaneously monitor chat-based communications, make sure they have enough fuel and battery power to complete missions, memorize and enter authentication codes, decode encrypted information and maintain situational awareness. Last year, more than 400 civilian and military volunteers participated as StealthAdapt research subjects at various Navy training centers. Those results are under review and will be used to update the game system before it’s officially introduced to the fleet this year. Explore more Navy innovations at Navy.com. This post is a sponsored collaboration between America’s Navy and Studio@Gizmodo.